BOSTON — Johnny McKenzie, a rough-and-tumble right wing who helped lead the Boston Bruins to two Stanley Cup titles, has died. He was 80. The team says McKenzie died Saturday, citing its alumni department. A cause was not given. McKenzie also played for the Chicago Blackhawks, Detroit Red Wings and New York Rangers. 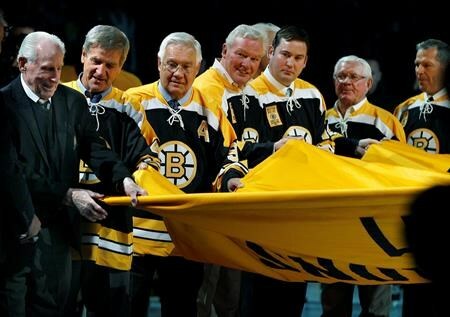 But he was mostly known for his time with the Bruins from 1965 to 1972 when he was a key part of teams that won the Stanley Cup in 1970 and 1972. McKenzie was born in High River, Alberta. He was just 5-foot-9 and 175 pounds, but that did not deter his physical play. He had 169 goals and 227 assists with the Bruins, along with 710 penalty minutes over 454 games.